Despite the fact Wells Fargo’s foreclosure of my home is being appealed, Wells Fargo has scheduled a Foreclosure Sale for August 29, 2018. The following is in the mail to the trial court. The formatting is slightly different here because of this being WordPress. For instance there are fewer indents. Everything else is the same. All of the above being true, there are good grounds to postpone the August 29, 2018 Foreclosure Sale of my home. 1. There is no record of the Note being seen since 2002. Wells Fargo filed this foreclosure in April, 2008. 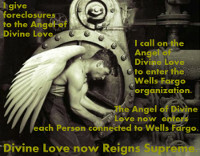 Wells Fargo attached a copy of the Note to its Complaint for Foreclosure as if Wells Fargo held the Note. But when asked to produce the Note, Wells Fargo instead produced a Lost Note Affidavit. Wells Fargo’s lost note affidavit of July 19, 2011, falsely stated that the document custodian shipped the Note to the legal department and then the Note was lost. At trial Wells Fargo testified that the affidavit it filed on July 19, 2011, was false. Wells Fargo’s admission of perjury, a fourth degree felony, shows Wells Fargo’s confidence that it is immune to prosecution for wrong doing and that the Court would not only overlook Wells Fargo’s perjury but rule that Wells Fargo had standing when it filed its Complaint for Foreclosure on April 7, 2008, saying that it held the Note when the truth was that it did not. Wells Fargo has repeatedly said it doesn’t know when or where the Original Note was lost. At trial Wells Fargo spent considerable time on mergers and acquisitions with the ostensible intent of showing that Wells Fargo eventually owned the document custodian, First Union, which would make it seem as if the Note was lost when it was in Wells Fargo’s possession. However, the document custodian, First Union, which had merged with Wachovia, was not acquired by Wells Fargo until Wells Fargo bought Wachovia in late 2008. Wells Fargo’s acquisition of Wachovia was finalized in 2010. 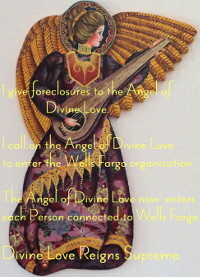 Both late 2008 and 2010 are after Wells Fargo filed its foreclosure action against my home in April, 2008. Both late 2008 and 2010 indicate that at the time Wells Fargo commenced this litigation it did not have standing based on its Lost Note theory. 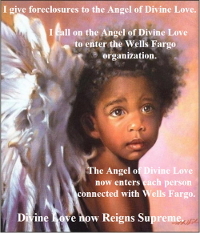 It therefore follows that Wells Fargo does not have standing to go forward with the Foreclosure Sale of my home. 2. The Appeals Court has not made a final decision on my appeal. I am moving to amend my Informal Docketing Statement to include the following facts which I did not include in my docketing statement because I was confused when I wrote it. I had just seen for the first time that my trial lawyer, Eric Ortiz, had written “mortgage” in #14 of Kline’s Amended Findings and Conclusions of Law, filed 8/15/2017. I believed he had written “note” because the note is relevant to standing in foreclosures under the UCC. Prudential standing was a core issue at trial. Judge Ortiz even said on the first day that standing was a core issue. I wrote it down in my notes when he said it. Once I accurately read what Mr. Ortiz had written and filed, instead of seeing what I believed he had written, I wasn’t sure that Judge Ortiz could have decided in my favor on the basis of the “facts” presented by Mr. Ortiz in his filing of 8/15/2017. Wells Fargo’s Opposition to my Amendment was not altogether truthful and I filed my Motion for Leave to File Attached Reply. Neither Wells Fargo’s motion asking that my amendments not be admitted, nor my Reply have been ruled upon. Wells Fargo’s statement is false. I did not allege that I was misled, I specifically said that Wells Fargo’s lawyers misled the Court. 1. My Motion to Amend was timely. 2. 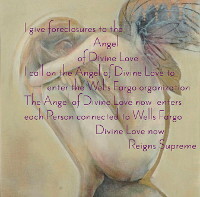 The facts in my Motion to Amend are material to the new issue that Wells Fargo is precluded from having standing as the holder of the original Note, or under the UCC’s Lost Note provisions, in its 2008 foreclosure case that commenced with its Complaint for Foreclosure filed on April 7, 2008, by the fact there is no record of the Original Note being seen since 2002. In addition, the newly added multiple facts satisfy Rael, 668 P.2d 309 (1983), 100 N.M. 193, in relation to the original two issues. Rael says, ‘this court upon a showing of good cause will grant amendments to docketing statements and recalendar cases so that all issues on appeal may be heard on their merits. Mr. Ortiz forcefully began summing up on the final day of the trial, “You must dismiss.” He showed that the last recorded time that the original Note was seen was in 2002… From pg. 3, Informal Memorandum and Motion to Amend. Wells Fargo’s testimony established that Wells Fargo purchased First Union but lost all of First Union’s records including any log or bailee letter which would have established the note’s physical location. Wells Fargo’s testimony established that Wells Fargo does not currently have any of First Union’s records regarding the subject note and the location of the original note despite purchasing First Union. From pg. 8, Informal Memorandum and Motion to Amend. In the instant case it became clear at trial that the last reference to “original documents” was September 21, 2002. At trial Plaintiff produced an unsigned copy of its 2000 subservicing agreement with GE Capital Mortgage Services and testified that Wells Fargo’s servicing notes of May 16, 2002 state that it received “original docs” which reference a loan modification but not the Note, and on September 21, 2002 “original documents” were returned to both First Union and Federal National Mortgage Association, FNMA. The In Rem Judgment memorializes this differently. See ¶¶ 28-29, page 4, above. Wells Fargo did not establish when it filed its Complaint for Foreclosure that it fell into one of these three statutory categories, as a result the trial court is in conflict with the New Mexico Supreme Court when the trial court did not dismiss for lack of standing. 4. My Motion to Amend states the reason this new issue and multiple facts supporting it, contained in my Motion to Amend, were not originally included in my Informal Docketing Statement and shows just cause. I wrote that I have a brain injury and that I became confused. I said that allowing my amendment is a reasonable accommodation under the Americans with Disabilities Act, Title II. 5. My Motion to Amend complies in other respects with the appellate rules insofar as necessary under the circumstances of the case. As Professor Levitin notes, Article 3 of the UCC and the land records recording system are each based upon the notion of strict “compliance with demonstrative legal formalities to achieve property rights,” which admittedly carries “up-front costs,” but also ensures “a high degree of security in the property rights, both vis-à-vis other competing claimants to the property rights and as to the ability to enforce the mortgage property rights.” Levitin, supra, at 648. 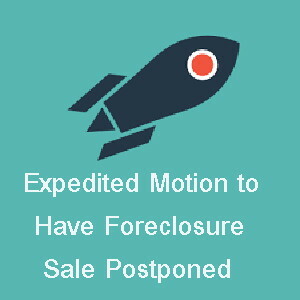 WHEREFORE I respectfully move the Court to postpone the Foreclosure Sale so that the Appeals Court can rule before my home is sold.